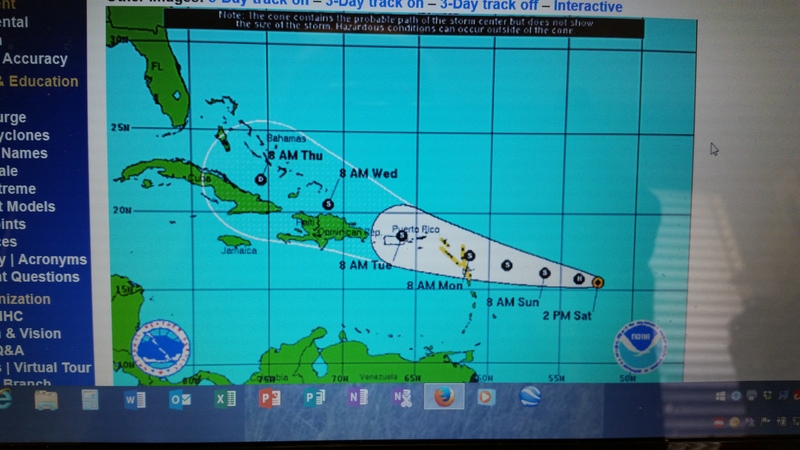 HURRICANE SEASON IS COMING* , and it is time to check your plans. 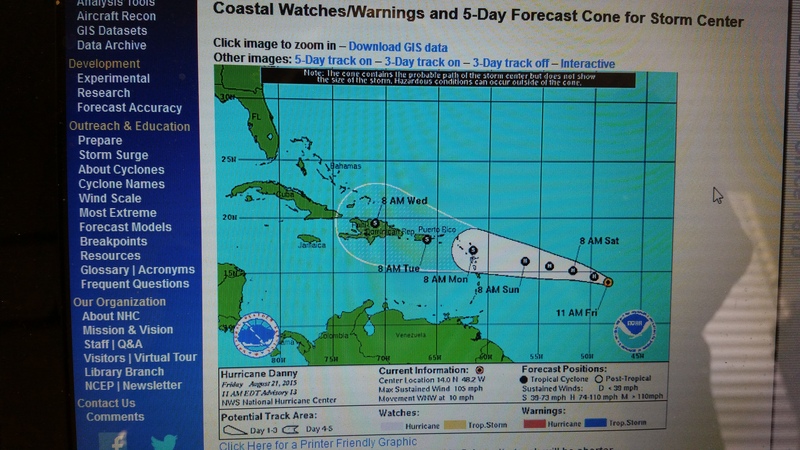 (*) The Atlantic Hurricane Season, according to NOAA, runs from June 1 to November 30. 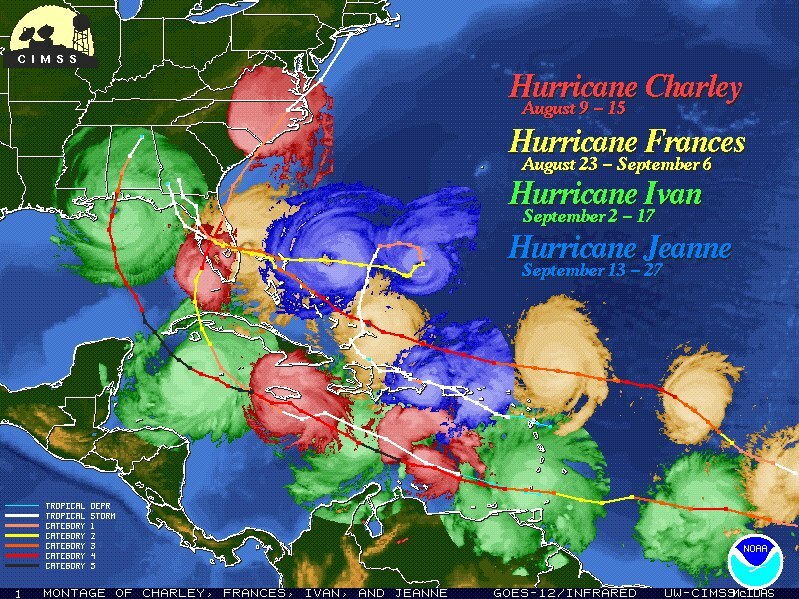 In the Earthways Shamanic Path, we observe Hurricane Season which starts around August 15 and runs to October 15. It’s a micro-season. Each day in July, the Gulf of Mexico water temperature increases, the average daily temperature increases, and the whole Southwest Florida region ripens for a Hurricane. It is us well past time, Honorable Shamans and Fellow Pagans, for you to make your plans so that you can keep you and your family (however you define that word,) safe. 1. Learn every thing you can about how hurricanes (“tropical disturbsnces”) form, and how they move around. You must know the difference between a parallel storm, an exiting storm, and, an onshore storm. (On shore storms are also “entering” storms, they make landfall. ) The way these storms interact on the Southwest coast, are different from the Southeast coast. You should know why. 2. You should know what the Saffer-Simpson Scale is. Google-thusly. 3. Elevation determines evacuation times. You should know how many feet you live above sea level. The smaller the number, the more likely you will be asked to evacuate your home during a big storm. 4. You need to decide, depending on where you live, and for each type of storm (parallel, exiting, onshore), what you and your family plan to do, for the different strengths of storms. 5. Every family is different, and family needs sometimes change. Perhaps your family now includes a woman who is now 8 1/2 months pregnant. Or, perhaps you now have a new born. Or maybe you are now caring for a frail eldey person. Or puppies. This is the time to find shelters which can accommodate your needs. 6. Every family’s resources are different, and changable. For example, if you normally have a reliable car, what would you do if you needed to evacuate from an onshore storm, but your only car is in the shop, and you have been commuting by bicycle. 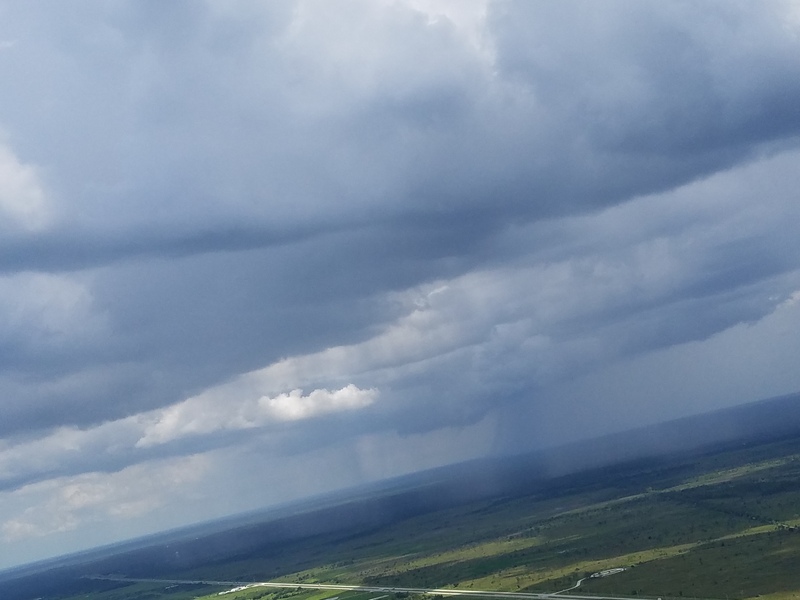 A typical stormy afternoon in Florida. 7. Plan, don’t panic. There is a lot to consider, but if you think about it now, today, and by that I mean over the weekend, you should be able to have an idea, before the middle of August. Make a gaming session out of it. (If this, tgen that…) Then, you can relax and go about your regular day-to-day adventures. 8. The Spiritual aspect of Hurricane Season is this: how do you balance the need to plan, the tendency to panic, and the goal of relaxing into your life on a day-to-day basis. You just do it. Honor the Seasons where you live. Delve deeper and Share your Peace with Mother Earth and Father Sky and the Big Waters all around us. I woke up this morning and could hear the rain hitting the roof. I knew it had rained all night. My husband was watching the news and when a commercial came on he proceeded to change the channel. I said, “oh, let’s watch the weather.” He said, you know it’s raining, why bother?” But he changed it any way. The weather news was full of stories about the ice storm that hit Atlanta, and all the stranded motorists. All the news casters are asking, “How did this happen?” Everybody is pointing fingers, blaming everybody else. I say, if you don’t know where you are, this is bound to happen again and again. Where are you? This is a question you should ask yourself, every waking moment. It is particularly important in surviving storms and natural disasters of any kind. But it is also about your level of awareness. Think of it this way: you live in a box (a house or apartment) and maybe your car lives in a space in that box (the garage.) So you wake up, do your stuff, hop in your car and set out to work in another box (an office or a factory, or something). At lunch time you might leave the work box, hop into your car, drive around some box to get food, and eat it somewhere and go back to your work box. When it’s time to go home, you go from the work box to the car to your house box. You move from one controlled climate to another one. And if you are like most people, you drive the same route to work and lunch and work and back home every day. You do this automatically, and you know it. If you do this 5 days a week, you have minimum contact with the natural world. But no matter how much you insulate yourself from the natural world, you still live in it. To survive a storm, you have to be aware. You have to read the signs of the natural world. You have to know what your alternatives are, all the time. And, you need to be prepared. To read the signs of a storm, you do need to monitor the weather on a daily basis. Lots of people grumble about the accuracy of weather reports, but the reports are getting more and more accurate, all the time. And, what you really want to pay attention to are the general big trends: is it going to get significantly hotter, or significantly colder, over the next 12 hours? Will this change be accompanied by rain/snow/ice? Will it be accompanied by wind? How much is expected for your area? Supplement your daily monitoring of reports by getting outside of your “world of boxes” on a regular basis, look at the trees, and the leaves, and look at the clouds in the sky, and learn what the natural signals are. The 12 hours is significant, because you probably spend that much time away from home each day, commuting and working and while you can probably gauge the morning commute by sticking your head outside for a minute, what you really need to PLAN for, is your commute home. I’m sure you know that the temperature drops as the sun sets each day. In my part of the world, it starts to get windier as the sun goes down, too. Some of the folks who got stuck on their afternoon commute this week in Atlanta’s Ice Storm, we caught unaware of the change in the weather. Once they got stuck, they waited for a few hours. Then eventually, many of them left their cars and hiked to a local store to spend the night. They went to drugstores, fast food places, and big box hardware stores. They went where ever they could to find a store that was open, and they were glad for the shelter, even if they had to sleep on the floors in the aisles. So, it is a good idea to pay attention to the stores that are open on your way home, and become aware of what your options might be, if you ever got stranded somewhere. If you only know one route home from work, start finding more routes. Do you know which roads in your town experience flash flooding? Do you know where the high spots are? DO you know how long it takes for the flash flood waters to recede? And, you need to have the right stuff with you, all the time: Depending upon your climate and the time of year, this could mean having a snow scraper, an umbrella, non-perishable food, water, blankets, shoes and socks, sun block, bug spray and a hat, cash, “personal hygiene products” (toilet paper…) and kitty litter, in your car at all times. The kitty litter has many uses, first of which is to sprinkle on the ice to get you some traction. Taking care of yourself starts with your own awareness and your own planning and preparation. It is your responsibility to be aware.